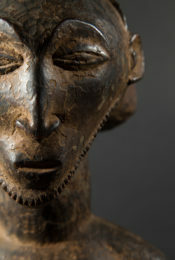 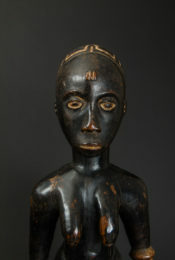 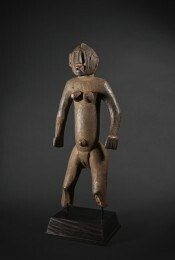 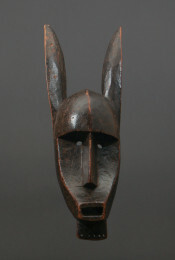 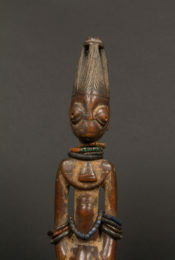 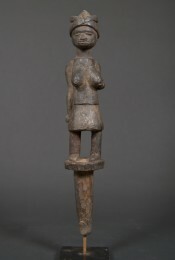 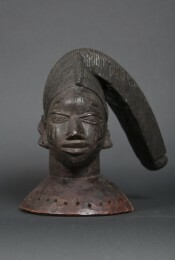 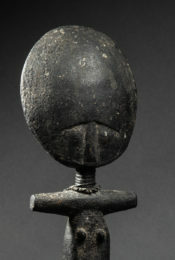 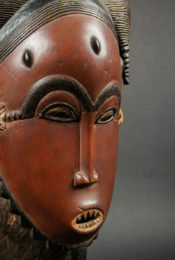 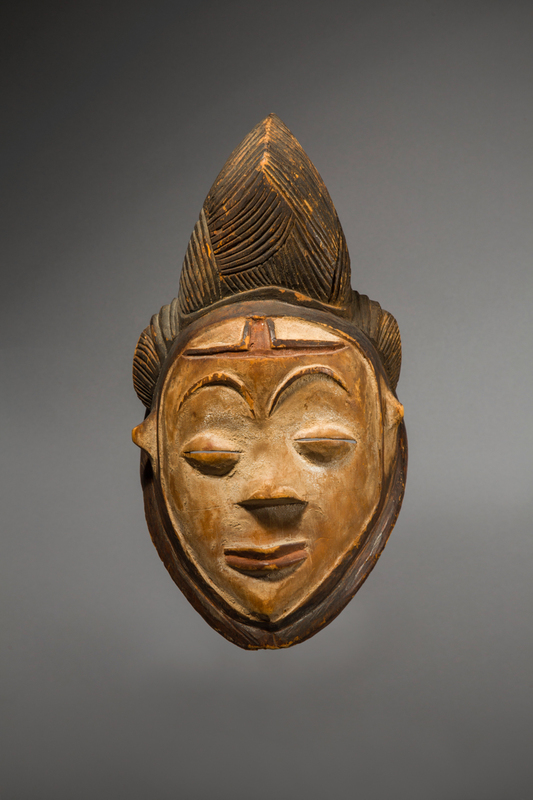 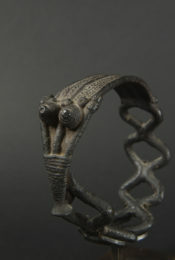 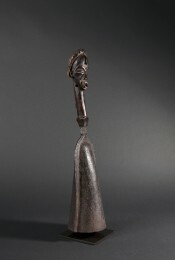 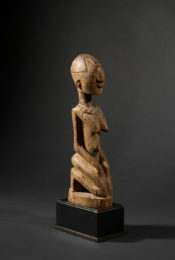 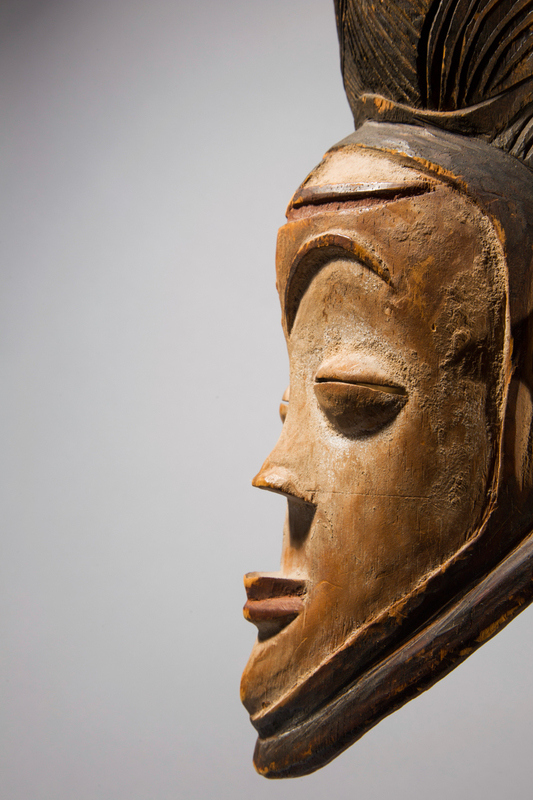 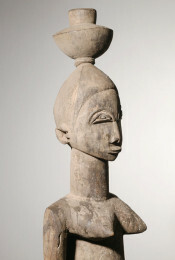 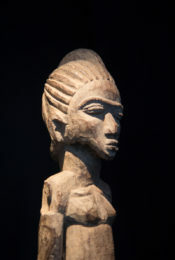 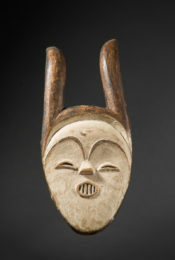 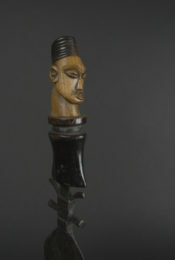 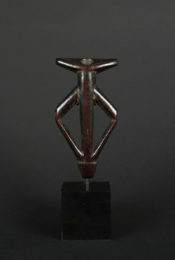 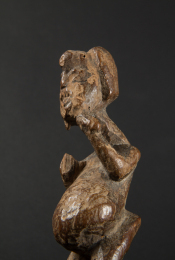 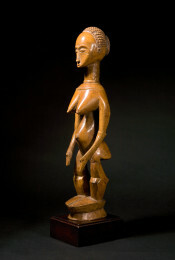 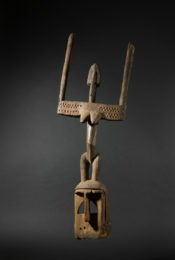 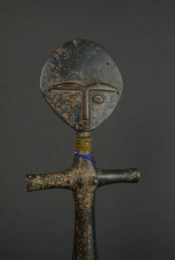 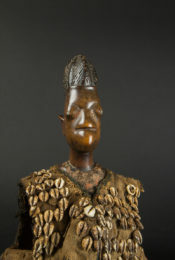 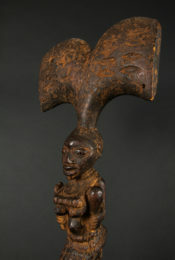 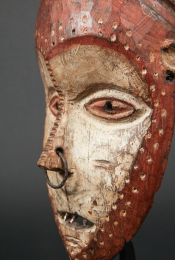 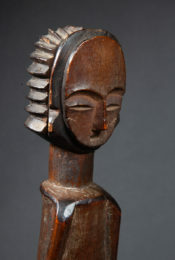 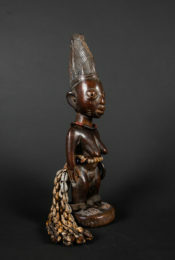 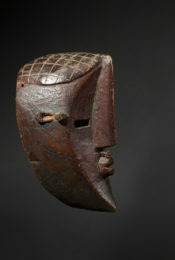 This ritual "M'Pongwe Mukuyi" (also called "mukudj" or "okuyi") mask is the representation of an idealized woman's face. 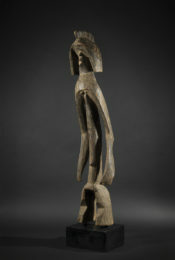 It superbly combines expressivity and grace. 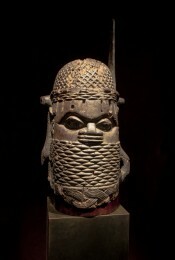 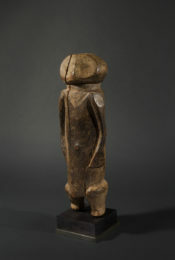 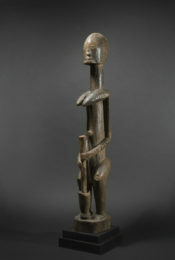 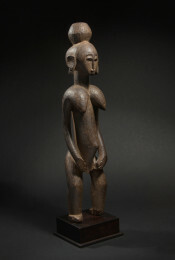 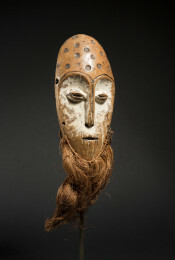 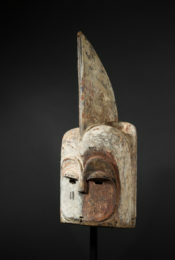 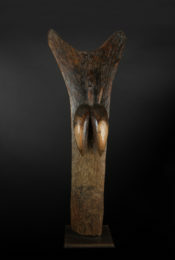 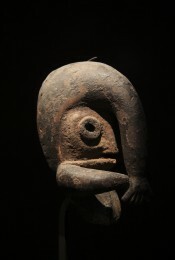 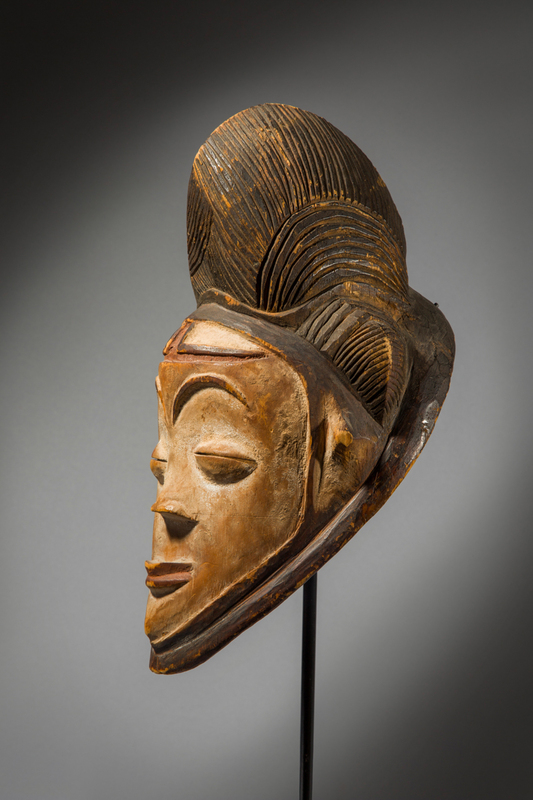 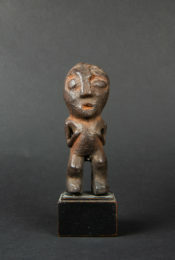 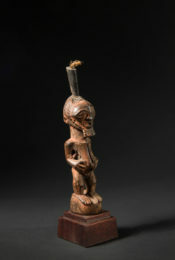 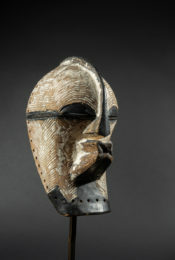 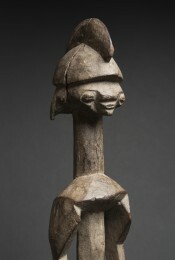 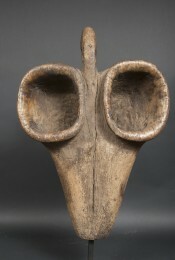 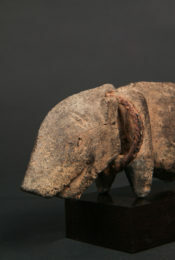 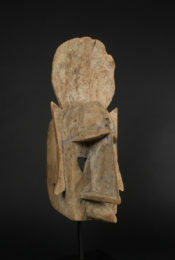 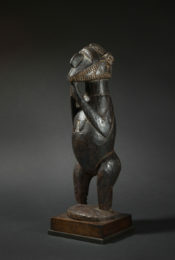 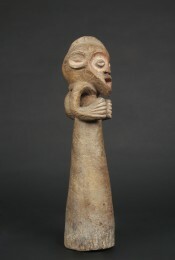 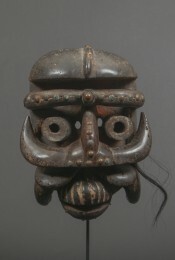 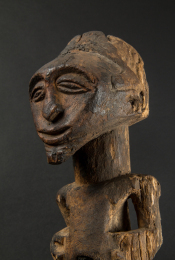 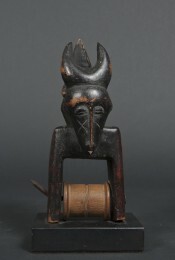 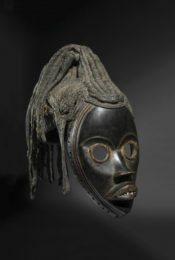 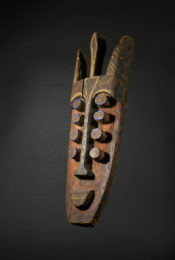 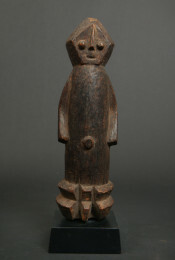 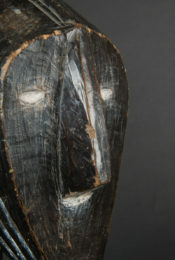 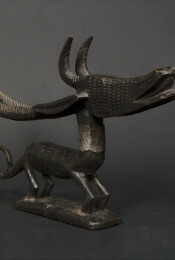 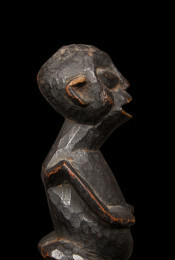 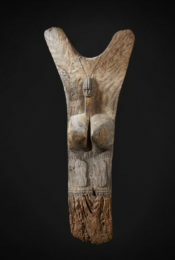 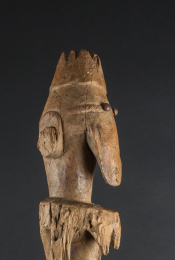 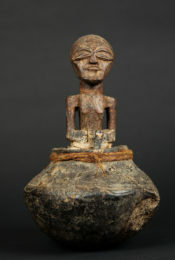 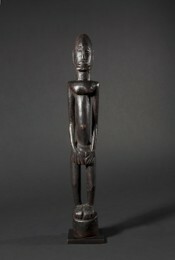 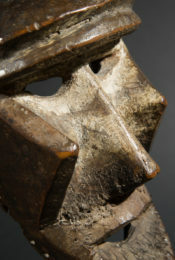 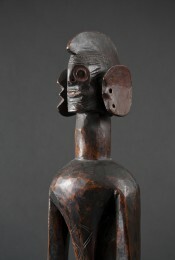 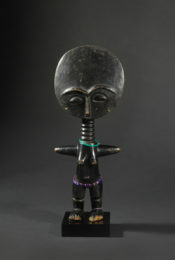 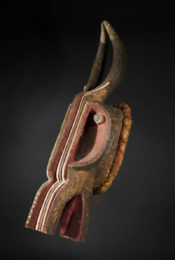 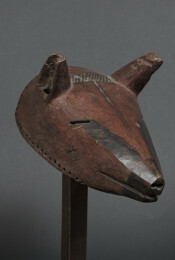 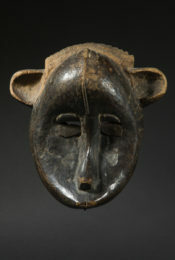 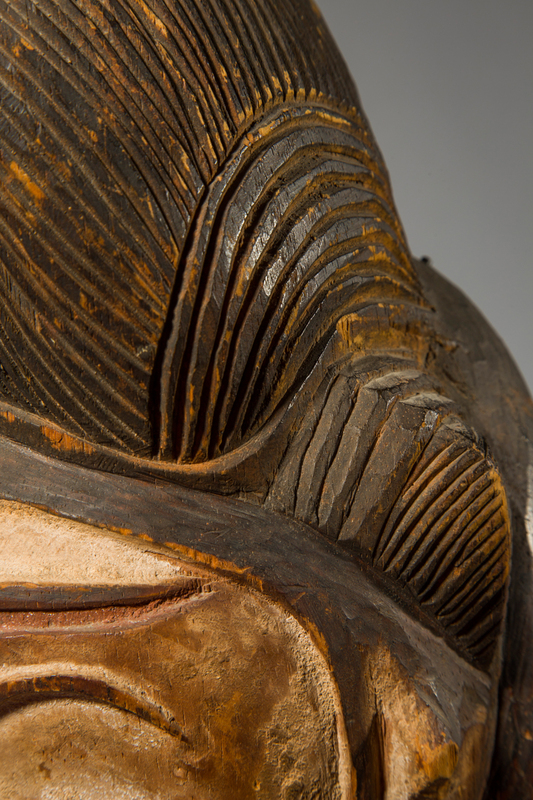 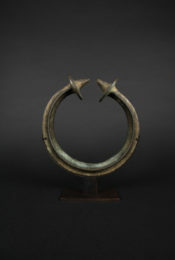 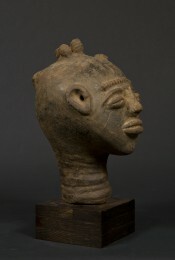 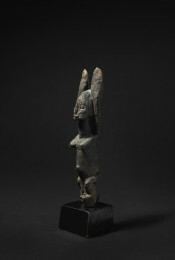 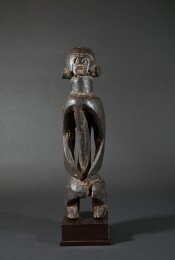 As stated by A. LaGamma (1995), these masks were used during the mwiri ceremonies, an important male initiation society spread throughout southern and central Gabon. 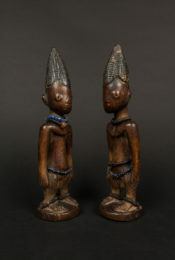 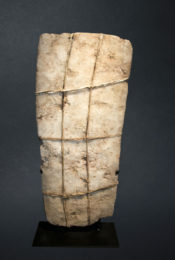 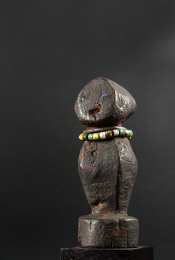 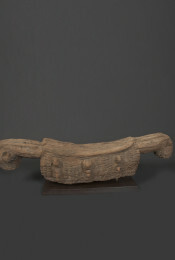 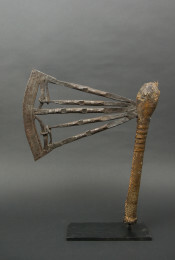 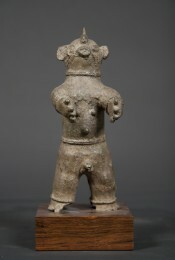 They appeared during community rituals linked to important events of village life (funerals, end of mourning, youth initiation, transgressions of clan orders, birth, epidemics, etc). 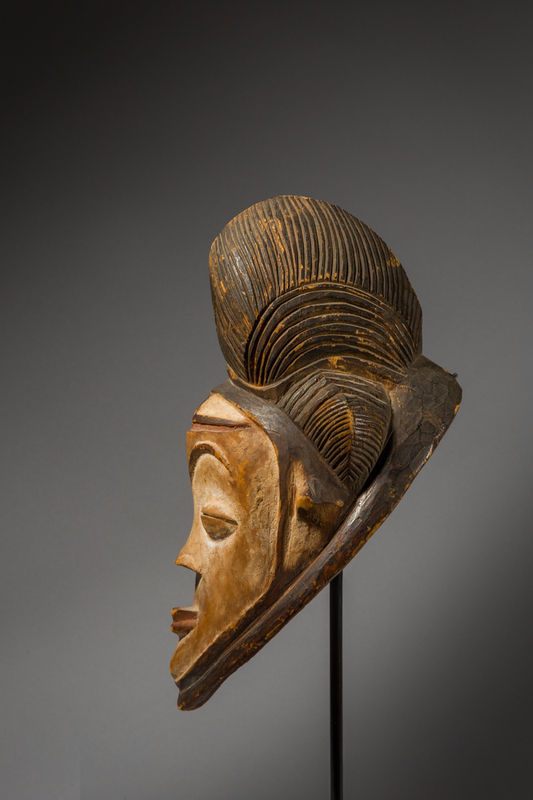 Representing female entities from the world of spirits or the dead, the masks capture an ideal of beauty.